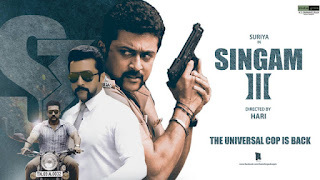 S3 otherwise called Singam 3 is a 2016 Tamil film composed and coordinated by Hari. The film is delivered by K. E. Gnanavel Raja and Dhaval Jayantilal Gada under the pennant of Studio Green. A continuation of the film Singam 2 (in 2013) and the third film in the Singam (in 2010), it stars Suriya, Anushka Shetty and Shruti Haasan. The film has music formed by Harris Jayaraj. The cinematography of the film is finished by Priyan though it’s altering works are taken care of by V. T. Vijayan.